Need to vent? Most of us do for voluminous locks. 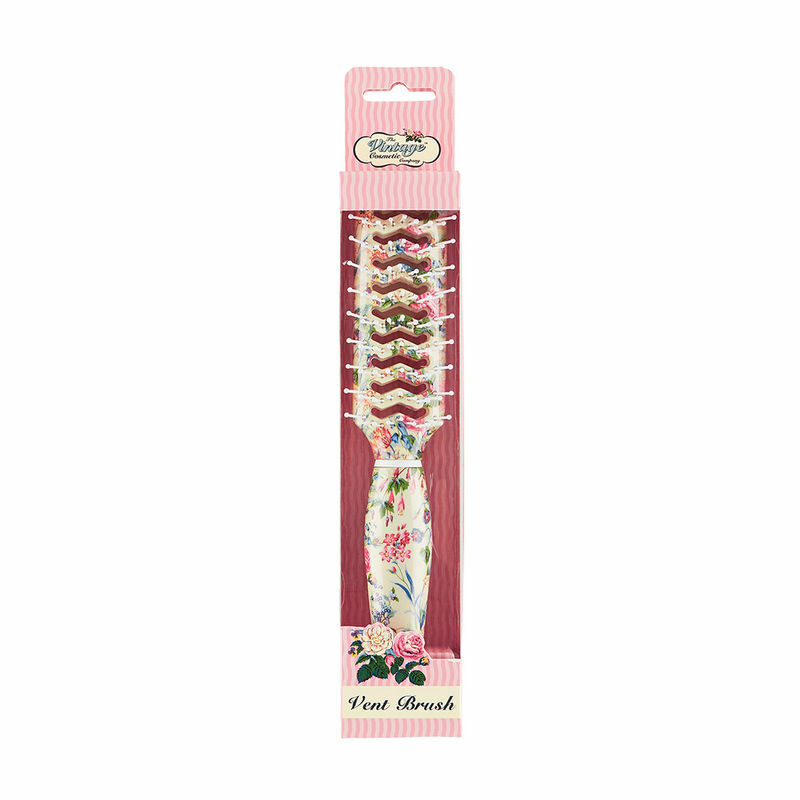 The Vintage Cosmetic Vent Hair Brush Floral cleverly allows warm airflow through the brush. Go with the flow and add volume to your roots for more lift and life.